You can make an outfit that can be worn in real life inspired by an character in a book you have recently read and reviewed. If not, you can just make an outift for any book. Design an outfit you think they would wear. Leave a comment down below with the link to your blog. Post the Trendy Thursdays sticker on your blog (or make your own) with a link to my blog (Bookcomet). Try to post something for each catergory. 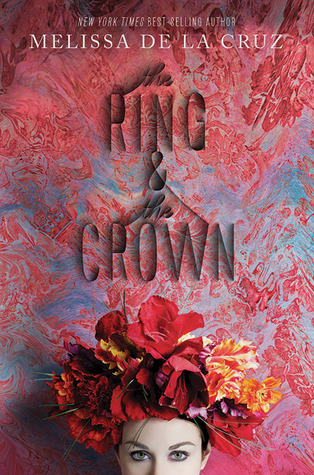 This entry was posted in Trendy Thursdays and tagged bookcomet, hair, hairband, head piece, Inspired outfit, Makeup, Melissa de la Cruz, nails, review, The Ring and the Crown. Click to follow me via email! © Livvvy75 and Bookcomet, 2015. Unauthorized use and/or duplication of this material without express and written permission from this blog’s author and/or owner is strictly prohibited. Excerpts and links may be used, provided that full and clear credit is given to Livvvy75 and Bookcomet with appropriate and specific direction to the original content.